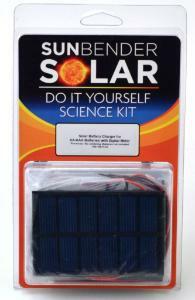 Our new Sunbender DIY Solar Kit is perfect for beginners. This kit comes pre-wired so there is no soldering required. The solar battery charger will charge 2 or 4 AA or 2 or 4 AAA rechargeable batteries. 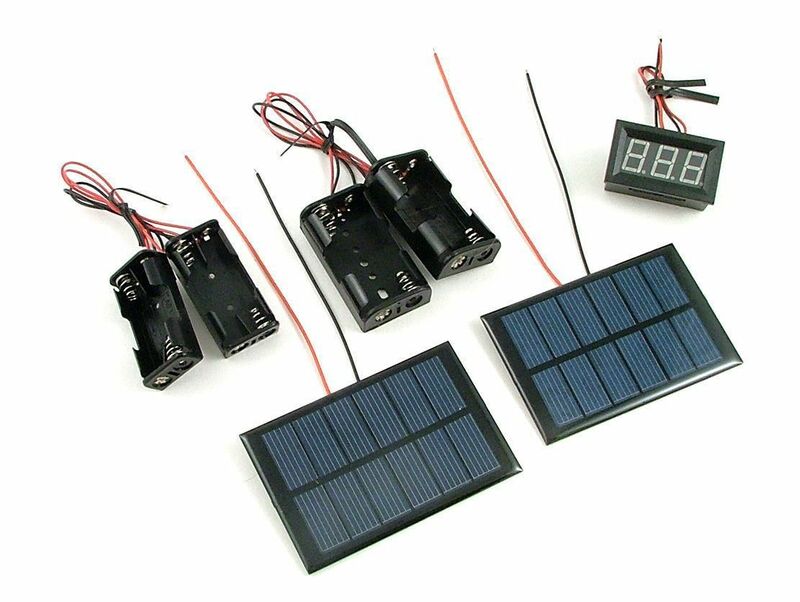 Includes 2 - 3V 200mA solar panels, 2 AA holders and 2 AAA holders for 2 batteries each. 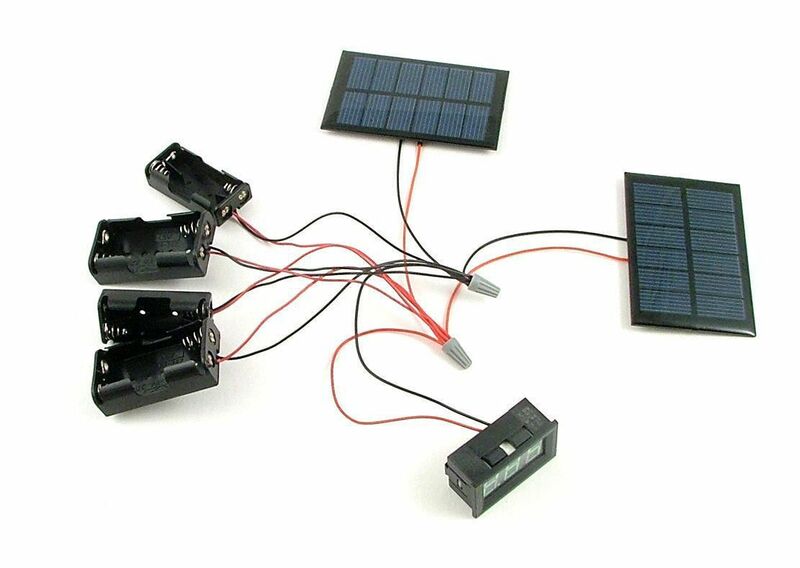 The solar charge will charge 2 batteries at 400mA charge rate and 4 batteries at 200mA rate. 2 - 2000mA-hr AA's would take about 5 hours of full sun to charge. The kit includes a digital meter making it easy to judge state of charge. You can build the solar battery charger in a housing of your choosing. You can use a wooden box or a simple plastic container from a supermarket. Includes complete instructions.